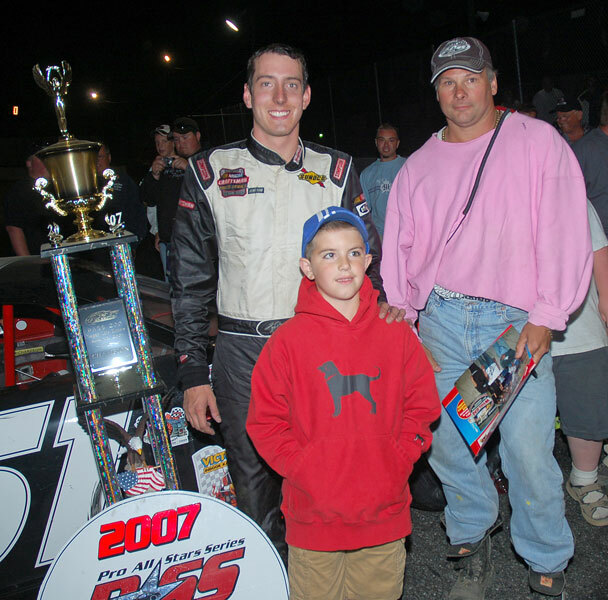 In front of a record crowd at All-Star Speedway in Epping, New Hampshire, NASCAR NEXTEL Cup standout Kyle Busch and veteran short track campaigner Mike Rowe put on a show for the ages. 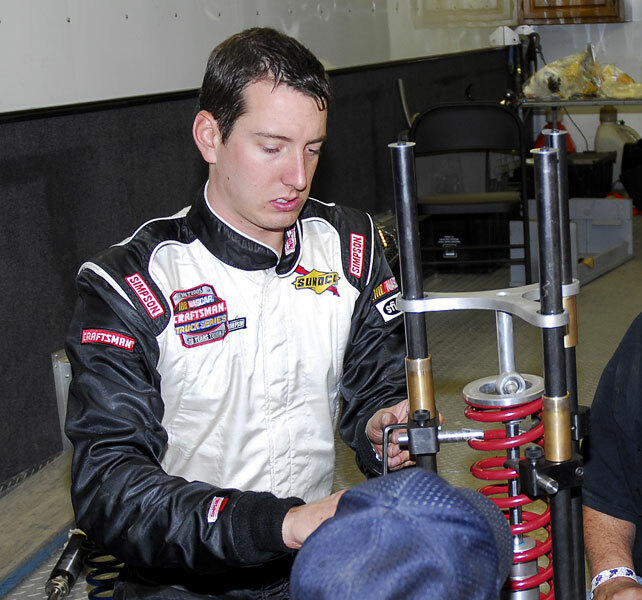 Busch took the lead from Mike Rowe on lap 179 and took the checkered flag first in the PASS North All-Star 200 event Saturday night, but after post-race evaluations the win was given to Rowe due to an unapproved tire change by Busch’s number-51 team. A spectacular night of short track racing came down to some of the biggest names in all levels of stock car racing, including Busch and the short track heroes of the PASS North Super Late Model tour such as Mike Rowe and his son Ben, plus New England racing veteran Rick Martin and young up-and-comer Travis Benjamin. 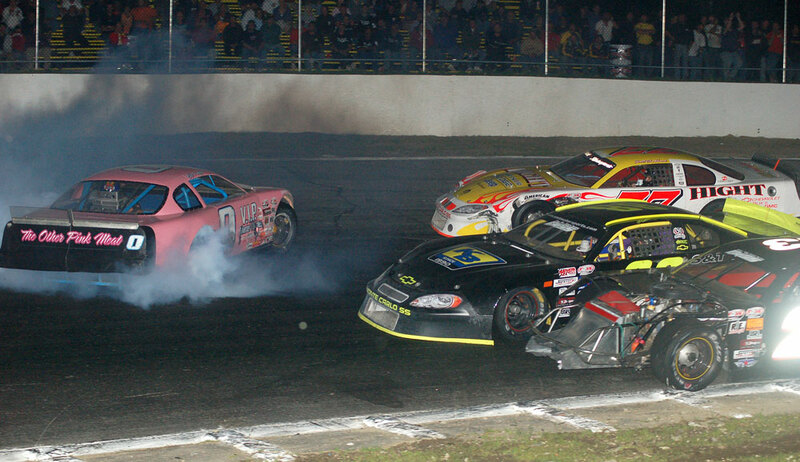 The frontrunners swapped the lead 11 times officially at the start-finish line, but many laps featured lead swaps and hard-nosed short track racing at the tight All-Star bullring. Late in the going, Mike Rowe appeared to have saved his car enough to cruise to victory, but Busch came on strong to take the lead on lap 179. Rowe tried to chase Busch down in the final laps to no avail. Post-race, PASS Officials assessed a two-lap penalty, per the series’ rulebook, to Busch’s team for the unapproved tire change. 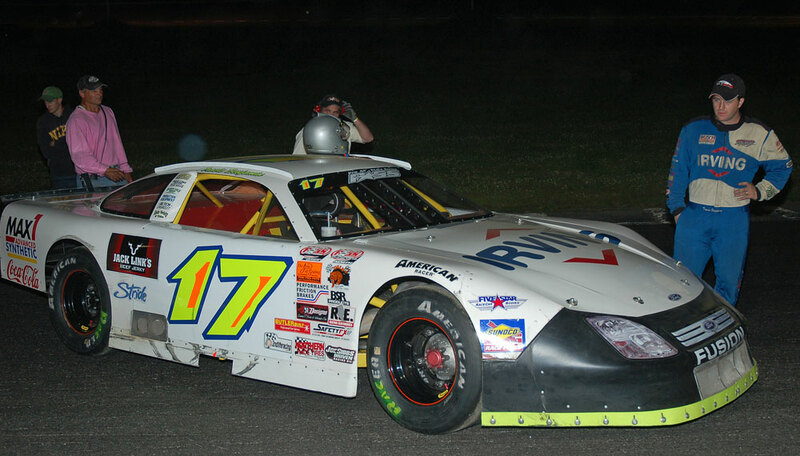 The penalty dropped Busch to 16th and bumped Mike Rowe to the win. 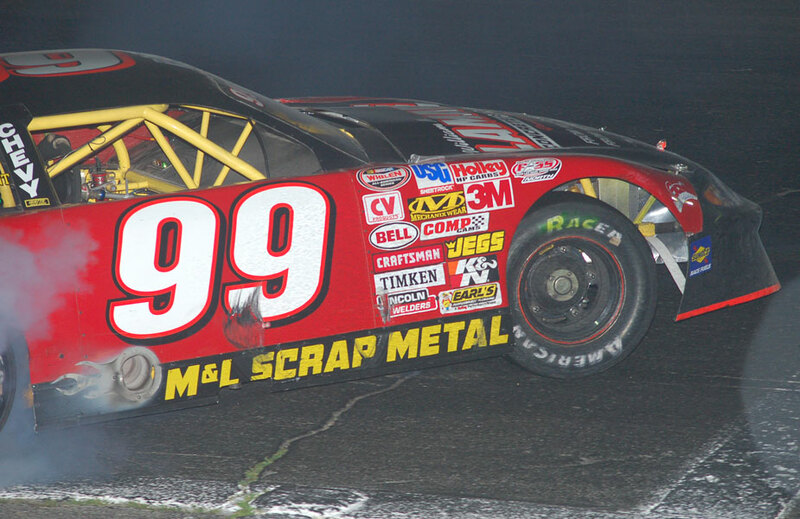 Ben Rowe overcame a spin on lap 132 to finish third. Early leader Travis Benjamin shook off recent bad luck to bring home a third-place finish, while Trevor Sanborn and Richie Dearborn rounded out the top-five. Drama; it’s what makes life interesting. It’s also what makes the racing world intriguing, whether you are a fan of the NEXTEL Cup Series or the Pro All Stars Series North. 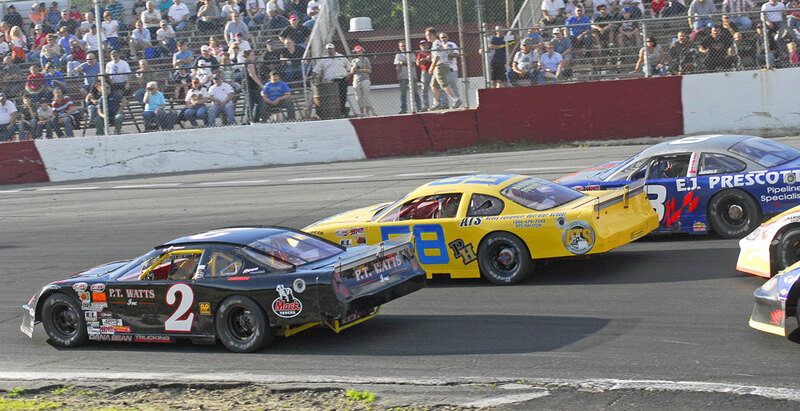 The All-Star 200 PASS North event on Saturday night at All-Star Speedway in Epping, NH, had more drama than a Steven Spielberg movie, both on and off the track. The climatic winner of the event is last year’s PASS South champion Mike Rowe. Rowe was declared the victor after NASCAR NEXTEL Cup Series competitor Kyle Busch was given a two-lap penalty by PASS North Officials for an unapproved tire change. 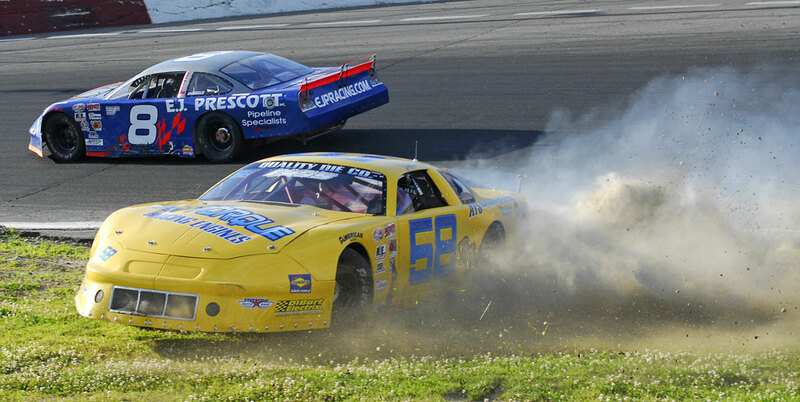 Penalty or no penalty, the race around the tight quarter-mile facility was among the best of the year for the PASS Super Late Model Tour. 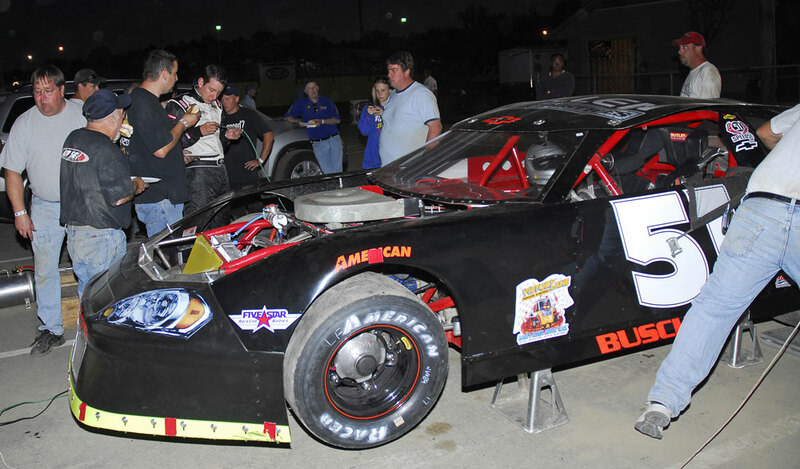 A half-dozen drivers, including Rowe, Busch, Rick Martin, Cassius Clark, Travis Benjamin and Ben Rowe waged war in a dramatic battle for the top spot that had the standing-room-only crowd on their feet for nearly the entire race. 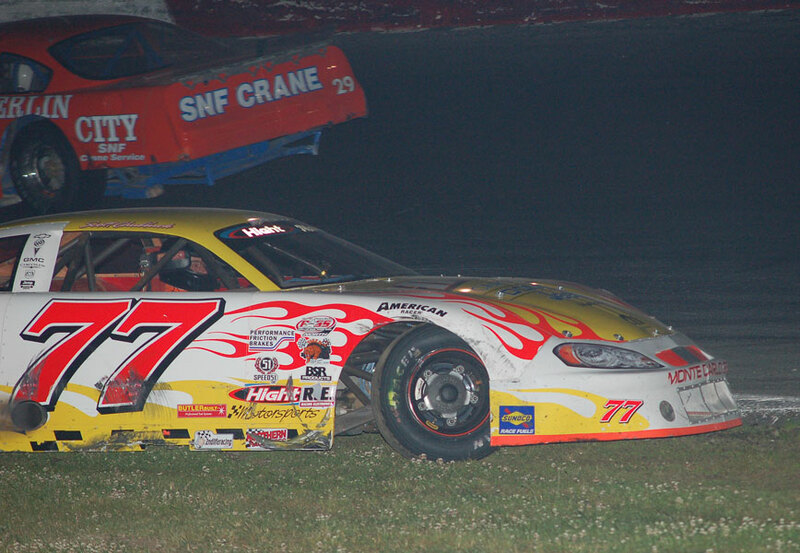 Busch, who had started fourth in the event, had crossed the finish line first at the end of the 200-lap race. 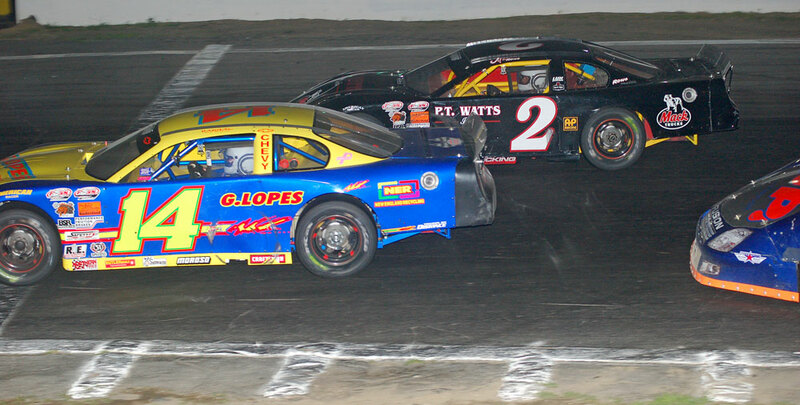 Even Mike Rowe, who some consider one of the toughest short track racers in the country, felt the battle for the win was extremely challenging. “I have a lot of fun racing with Busch,” said Rowe, who claimed his second victory of the PASS North season. 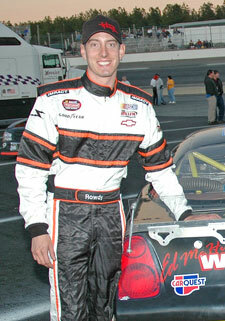 “We raced good at Oxford (last two years) and we had a good time down at South Boston last year. It’s nice to race with those guys and beat them, but when they stretch the rules and do what they do, it kind of makes us look bad. 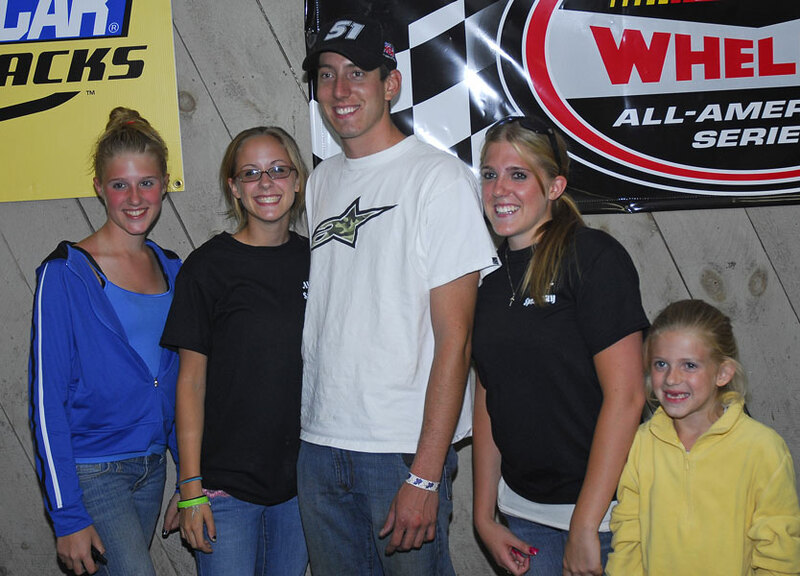 We’re the ones that should’ve been in victory lane at the track taking the pictures, but it’s just one of those deals. Kyle Busch ran up front early before beginning to fade near the mid-point in the race. 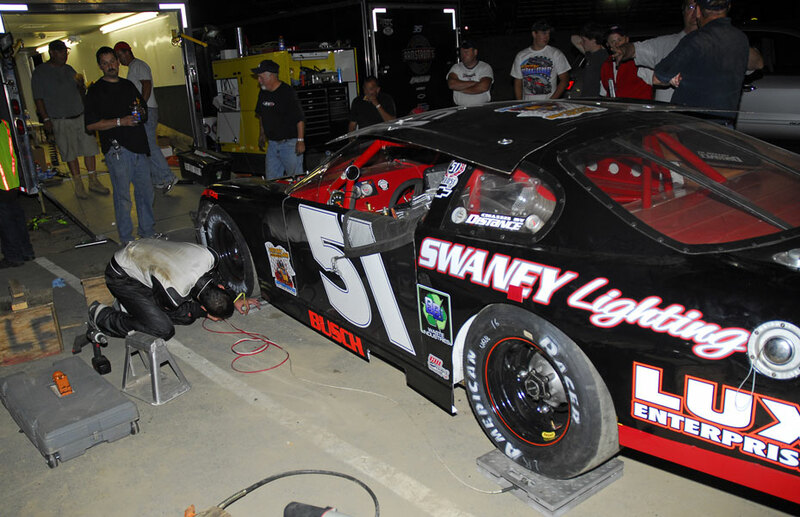 During a caution on lap 94, Busch pulled his number-51 machine into the pits with a right-front flat. The team changed both right-side tires and PASS rules state that a tire can only be changed if it is indeed flat. After examination following the race, PASS ruled the tire was not flat, and according to rule 10.19.9 – B, the Kyle Busch team received a two-lap penalty for the violation. We came in when Kyle thought that he had a flat. We checked the tires and we could physically hear the air coming out of the right front. There was a puncture hole in the right front,” explained Perry. “A lot of these guys (on the team) have never been in the position (with PASS) to know the whole tire deal and when you can and can’t change them. By the time we got the tires off and realized we didn’t have a hole in the other tire, just a stuck bleeder, the official had confiscated them and took them over to the PASS trailer. The bleeder doesn’t technically constitute a flat tire. I went back and tried to rectify the wrong by getting the tire, but it had already been confiscated, so there was no way of getting the tire and putting it back on. The All-Star 200 catered to all that is so exciting about short track racing. 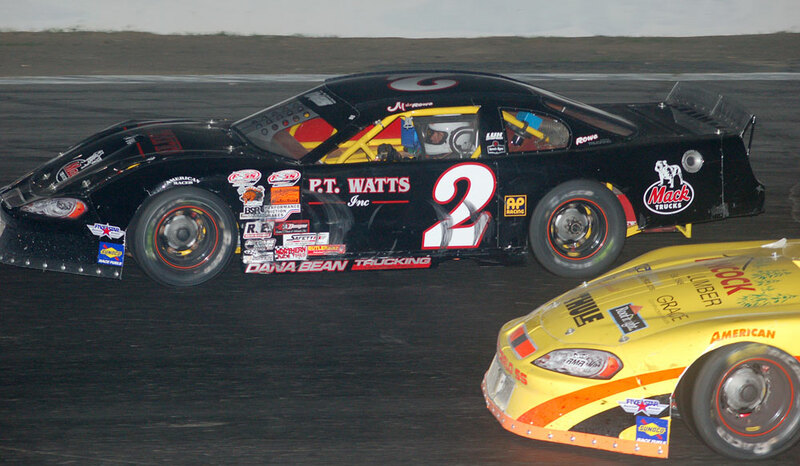 With young guns battling with seasoned veterans throughout the field, plus the added thrill of a hard-nosed and eager NEXTEL Cup driver trying to beat them all in front of a record crowd at the New Hampshire bullring, the All-Star 200 had it all. Officially there were 11 lead changes scored at the start-finish line, but the front runners Busch, Rowe, Travis Benjamin, Clark and Martin swapped the lead throughout the 200-lap event sometimes two or even three times a lap. Rowe appeared to have saved his tires and equipment just enough to get to the finish line first, but on lap 179 Busch made the move for the lead that Rowe was not able to counter. 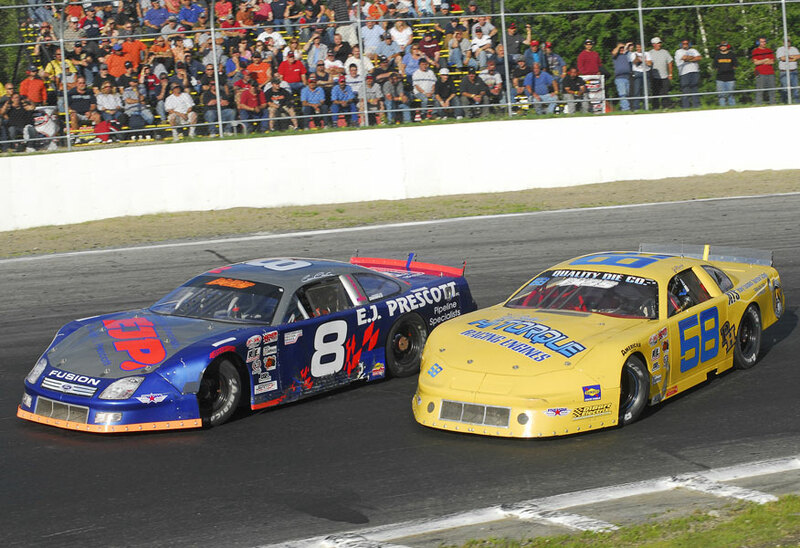 28 55 Jimmy Renfrew Candia, NH R&R Public Wholesalers Inc.
NAPLES, ME (June 20, 2007) – Whenever the NASCAR Nextel Cup teams have come to New Hampshire International Speedway to race, it has become a tradition that the PASS North Super Late Models have not been far away. 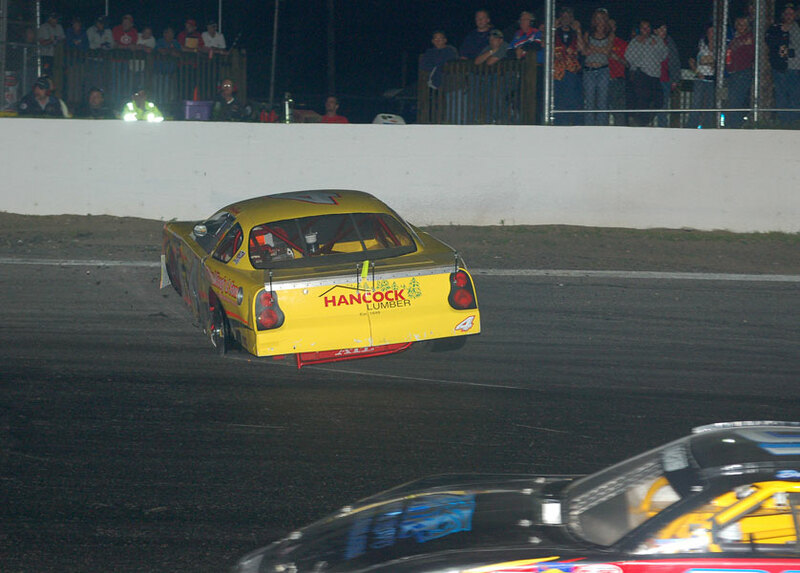 For the past several years, when fans have been to NHIS, the PASS North cars have been at a short track within a short drive on the Saturday night of race weekend. At the end of the month, that trend will continue with a little more fanfare. 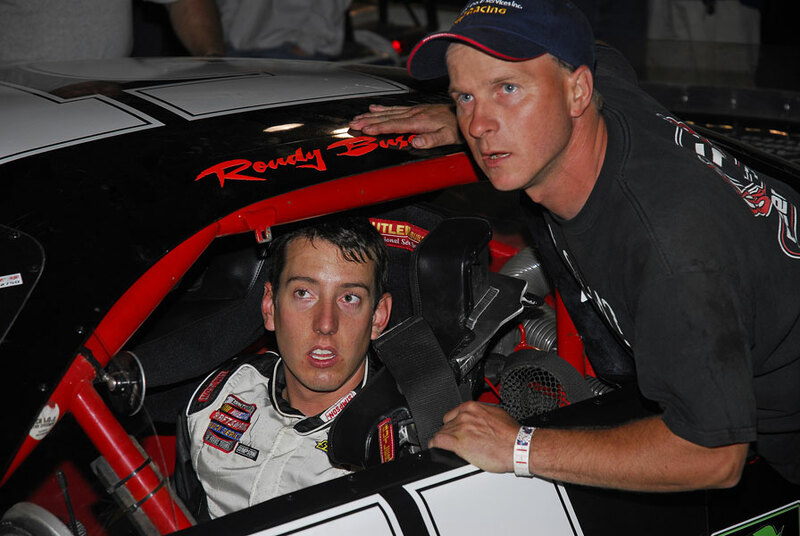 PASS North will visit All-Star Speedway in Epping, New Hampshire for a 200-lap feature race on the Saturday night of Cup weekend – and one of NASCAR brightest stars will be heading over from the Magic Mile at NHIS to race at All-Star. Kyle Busch, who is the hottest free agent in the racing world right now, has signed to compete in the June 30th All-Star 200 PASS North event. 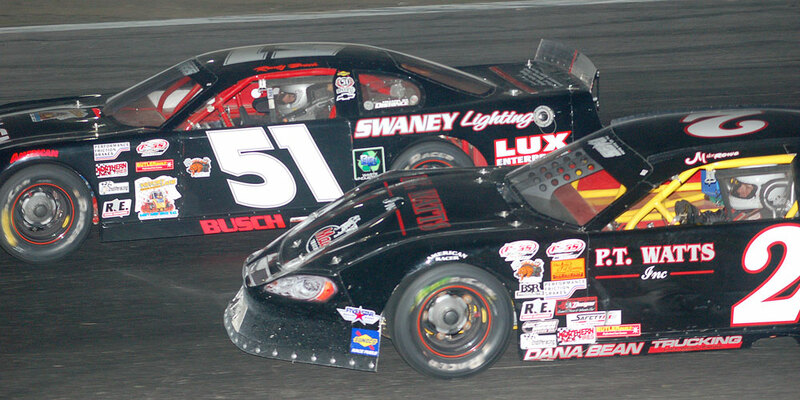 Busch is a veteran of several Super Late Model events during the past several years and will drive the #51 car fielded by Steve Perry for the event. Busch’s appearance in the race only adds to a special atmosphere for the All-Star 200 race that surrounds the entire state of New Hampshire during a NASCAR NEXTEL Cup weekend. The PASS North teams have visited the track formerly known as Star Speedway in the past, but not since Bobby McArthur bought the facility, renovated it and changed the name before the start of the 2007 racing season. The All-Star 200 is scheduled for Saturday, June 30th. Racing starts at 6 PM. All-Star Speedway (NH) is one of the tracks on the Pro All Stars Series (PASS) North Super Late Model schedule where weekly competitors can dice it up with tour regulars. 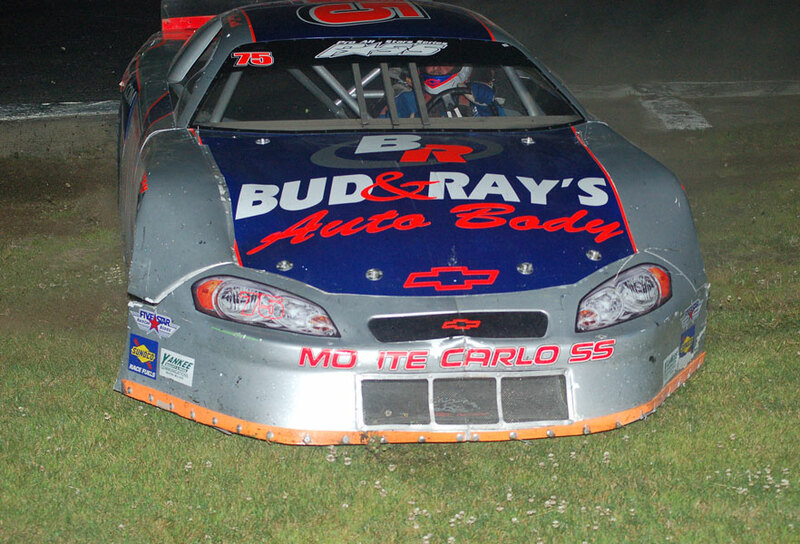 A number of veterans who know the place well, like Bobby Gahan, Eric Hudson and Babe Branscomb, are expected to enter the All-Star 200 on June 29th-30th and, of course, the regular stars of PASS North will be there as well – guys like Johnny Clark, Ben Rowe, Mike Rowe, Cassius Clark, Richie Dearborn, Travis Benjamin, Trevor Sanborn, Alan Tardiff and Derek Ramstrom. Then there is Joey Porciello. The Lee, New Hampshire, driver really doesn’t fit any mold for this race. 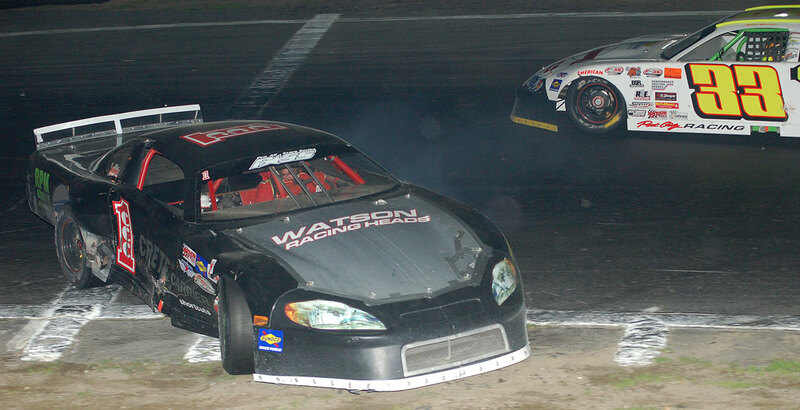 He’s a PASS North regular, but also a near-weekly competitor in the Pro Stock/Super Late Model class at All-Star. 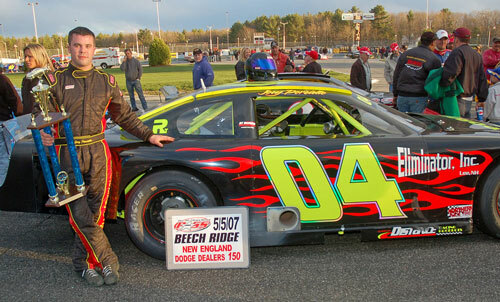 He’s a PASS North rookie, but he drives like a seasoned veteran – winning the season opener at Beech Ridge to start out his 2007 season well. Oddly enough, though, even though Star is only minutes from Porciello’s hometown, he never raced there early in his career. 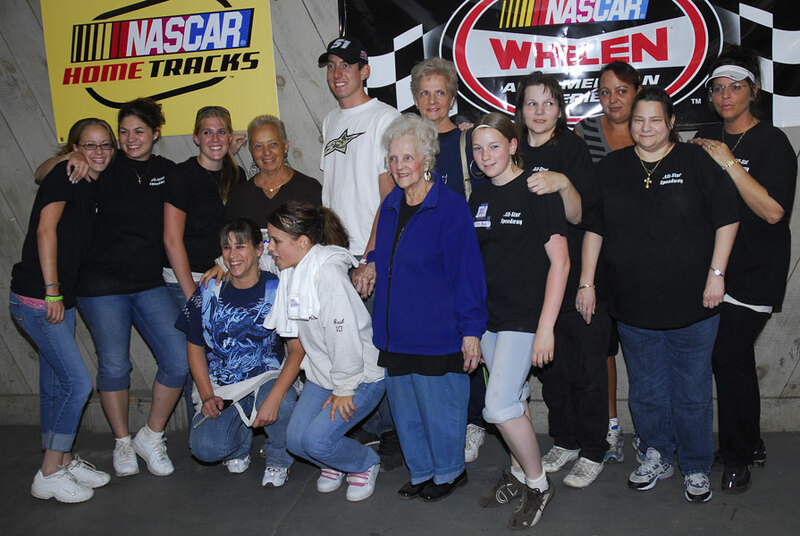 Until Bobby MacArthur, a former Super Late Model racer himself, bought the track over this off-season, there was not a regular Late Model or Super Late Model class running at All-Star Speedway. When Porciello did start turning laps at the facility, it was love at first drive. 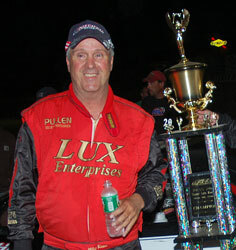 He won last fall’s PASS Outlaw Late Model race at All-Star Speedway. It was his first start there. 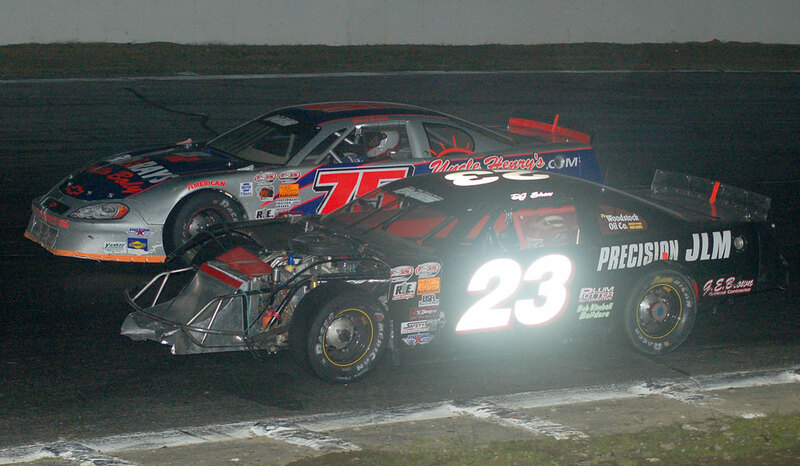 Porciello has been running strong at All-Star during the off Saturday nights of the PASS North schedule this year. Turning all of those laps there has made All-Star one of Porciello’s favorite tracks to compete on. 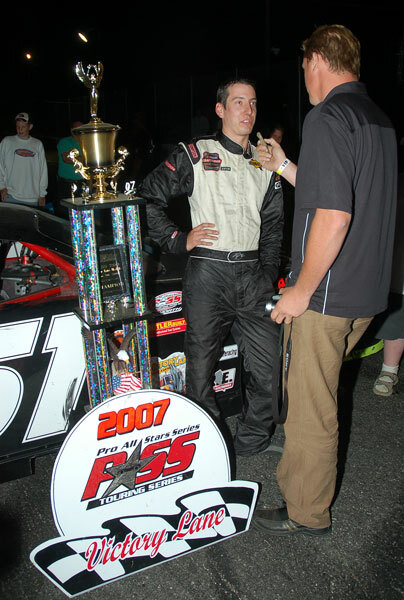 Porciello is donning a yellow rookie strip on his bumper this year, but his victory at Beech Ridge to start the season made him stand out from the Class of 2007 right away. 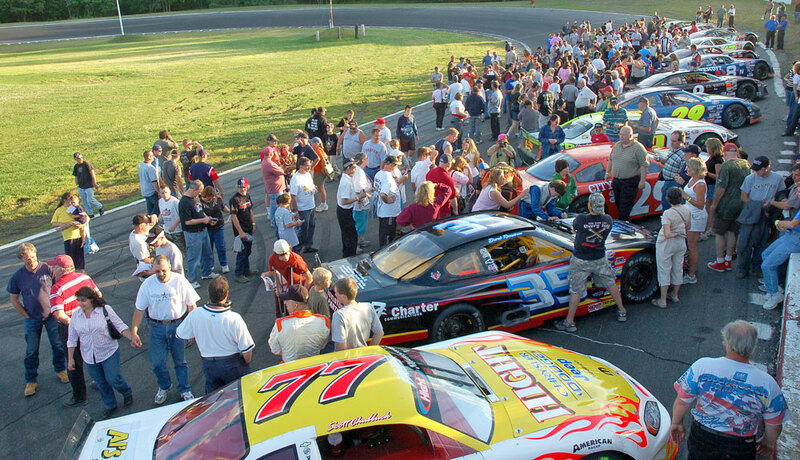 The All-Star 200 is scheduled for the same weekend as NASCAR Nextel Cup and Busch Series races at the nearby New Hampshire International Speedway. At least one Nextel Cup driver is planning to race at All-Star and numerous crew members and Cup fans have flocked to PASS North races that are near to NHIS in the past. Porciello is looking forward to that.